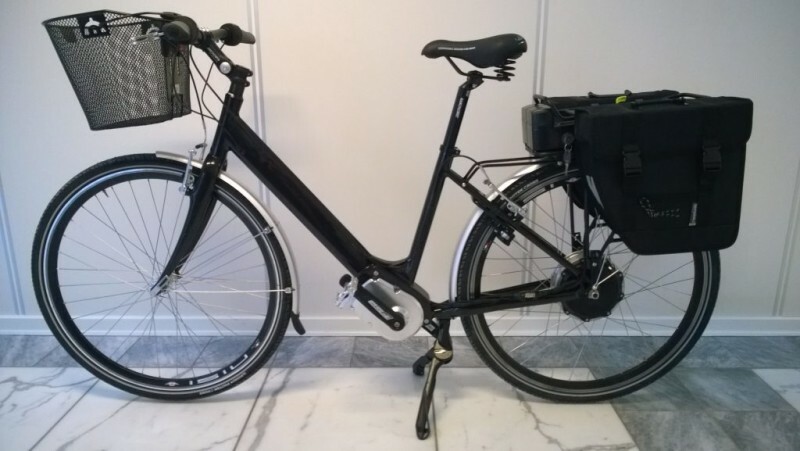 Bike2 is a Danish company that has made what they call a “revolutionary Series Hybrid Drive System.” With delivery of this new bike finally beginning to make their way to bicycle manufacturers, the Bike2 system has been in the works for quite a while. This prototype won the Seoul Cycle Design competition back in 2010 and is actually claimed to be the first serial production of an all-electric transmission that is ready to be commercialized by cycle manufacturers. Pre-production units were distributed to selected partners in an initial phase — but now the Bike2 is ready for the public. 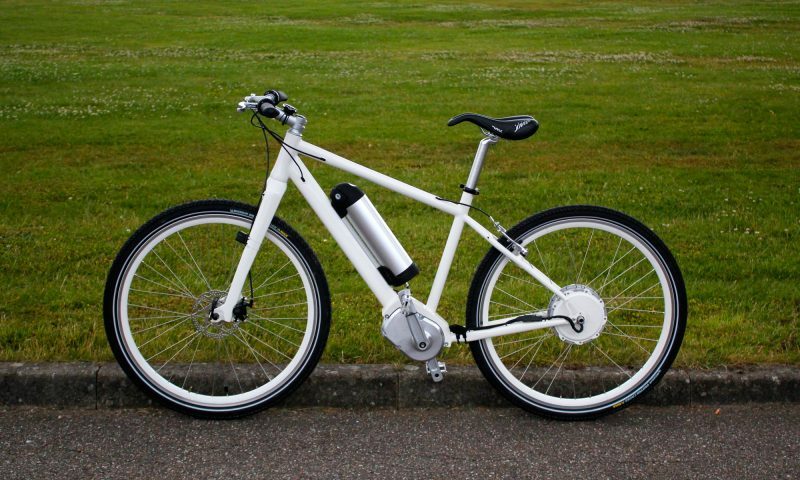 The Bike2 system is a chainless hybrid drive e-bike that has no mechanical transmission. It operates by using the pedals to push a generator located in the crank box. According to the company, the system gives cyclists a very natural riding experience and the bike feels similar to a pedal-assisted e-bike as well as a conventional bike. 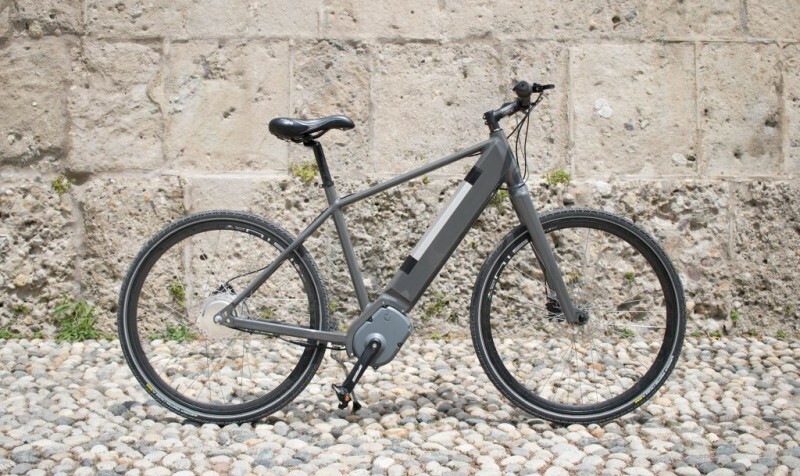 Bike2 claims that the Hybrid Drive System is the first e-bike system to have a 100 percent step-less digital gearing and automatic gear mode. What this does is keep the cadence at a fixed level regardless of different loads from the cyclist. Bike2 has made upgrades to the traditional e-bike concepts. Their chainless hybrid drive e-bike is intended to be much more user-friendly, with innovative features for a great riding experience. The new bike is built to EU standards for pedelecs (EN15194). Now, the Bike2 is not ideal for every cyclist — obviously, if you are a road biking aficionado, a cyclo-cross rider, a competitor, TT junkie, mountain biker, and cyclist who loves the latest in conventional cycle building, the Bike2 may not be for you. But, if you are interested in electric bicycles, the newest bike technology, or are looking for a commuter or leisure bike that is as smooth as a pedal assist bike without all of the maintenance of a conventional bike — you may wish to give this innovative bike a try. The founders of Bike2, Nils Sveje and Jesper Allan Hansen, are looking to begin their next test by offering this bike to the public. They have already completed tests by creators of conventional bikes and have had great interest from manufacturers of pedal assisted cycles. The Bike2 founders have stated that the Bike2 system is ideal for a section of the population that is not typically served by conventional cycles. Their system is geared to have an impact on cargo bikes, recumbents, e-bikes for the disabled, and bike sharing fleets such as ones found in large cities around the globe. The price of the Bike2 Chainless Hybrid Drive e-bike has not yet been released, but considering the technology, build, and design work that has gone into this e-bike, it is likely to be quite a few thousand dollars. The Danish brand Bike2 will be presenting their new chainless e-bike system at Eurobike 2017, which will be held in Friedrichshafen, Germany, from August 30th to September 2nd. Take a look at the official website below in order to attend the event and view the upcoming showcases: http://www.eurobike-show.com/.